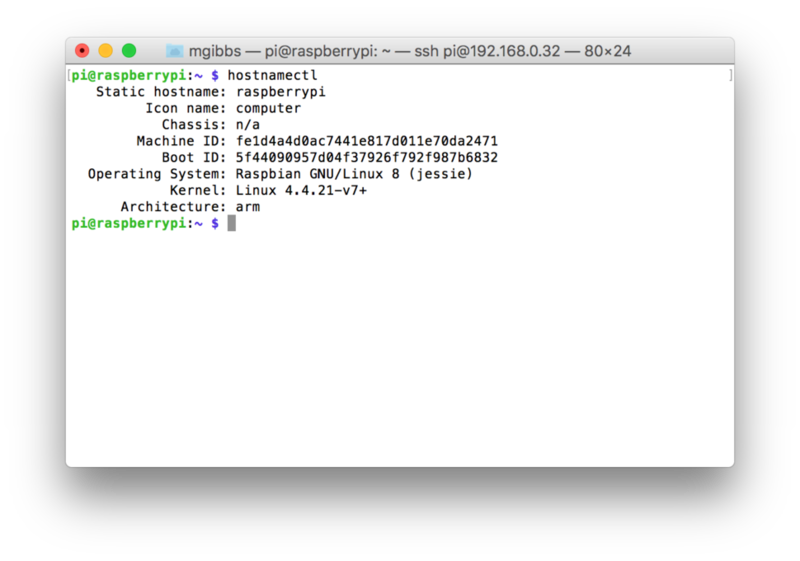 A common task after setting up Raspbian-based Raspberry Pi systems is to change the machine’s name (the hostname) because it will, by default, be set to "raspberrypi". 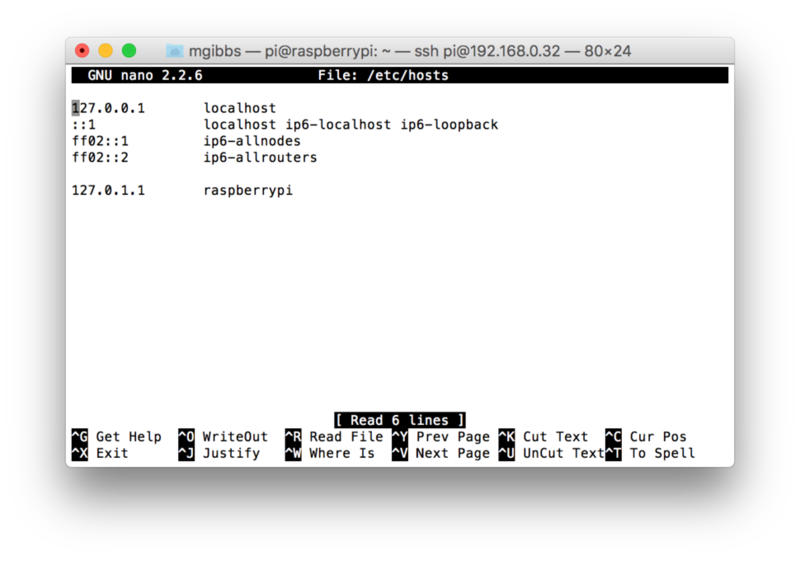 While this may not be an issue if you have only one RPi on your network, for anyone developing Internet of Things (IoT) systems where there are multiple RPi’s, it would obviously be desirable to give them more useful hostnames. 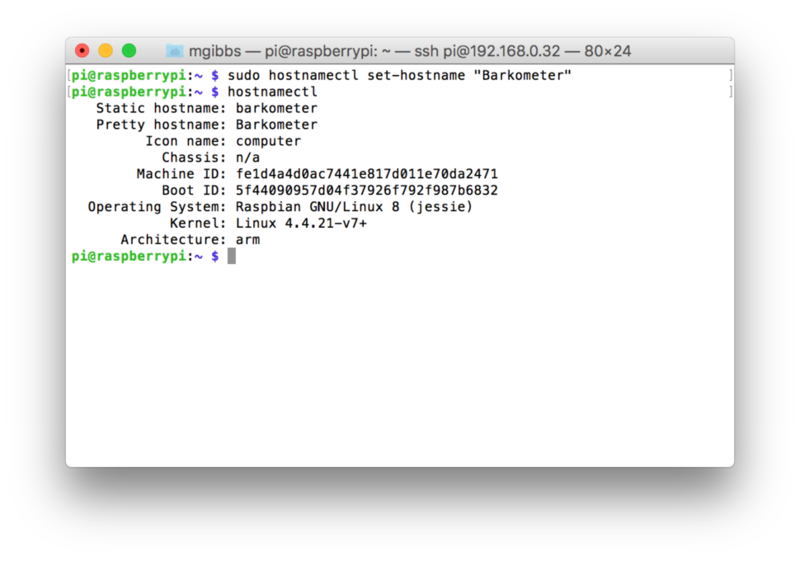 If you change the last line, in this case, 127.0.1.1 raspberrypi, to something else, say, 127.0.1.1 barkometer (in honor of my Barkometer series), then, after rebooting, that will be your machine’s hostname. Whatever you do, DO NOT change 127.0.1.1; if you do, you will be annoyed by the consequences. … distinguishes three different hostnames: the high-level "pretty" hostname which might include all kinds of special characters (e.g. "Lennart's Laptop"), the static hostname which is used to initialize the kernel hostname at boot (e.g. 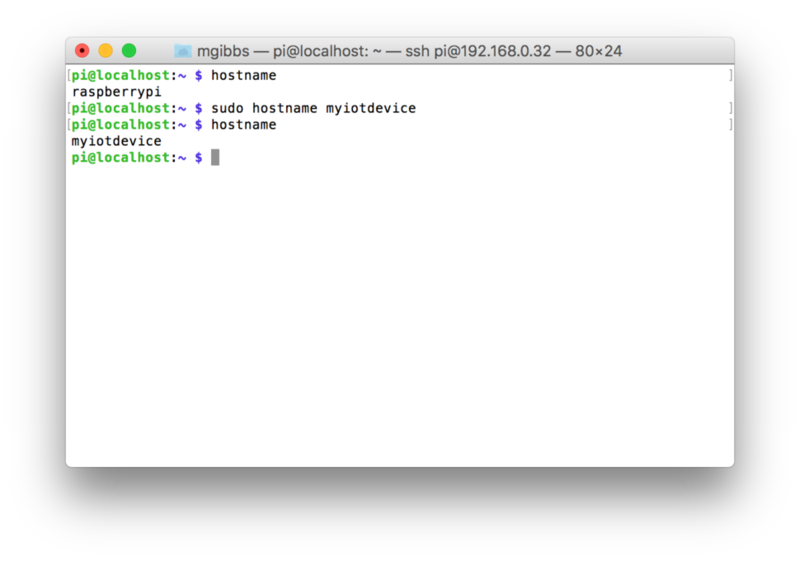 "lennarts-laptop"), and the transient hostname which is a fallback value received from network configuration. 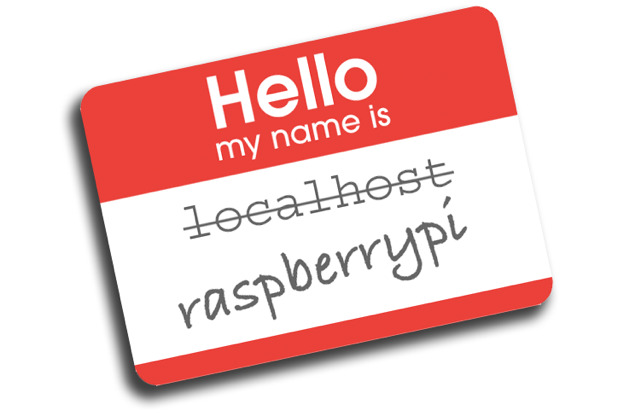 If a static hostname is set, and is valid (something other than localhost), then the transient hostname is not used. ... sets the static, and pretty hostnames (the transient hostname is set to null, i.e.""). Again, you must use sudo or the command will fail. Perhaps it's a bug but the transient hostname can be set to a string that isn't RFC 1123 complaint and which is then used when the hostname is required. ... will launch an SSH session, connect to the target machine, request your password, and set the hostnames accordingly (you can also use the --static, --transient, and --pretty options with -H). ... will show the static hostname as "n/a", the transient hostname set to localhost (which is used when the hostname is presented to the network services), and the pretty hostname to null, so it isn't displayed, After rebooting, that's how the hostnames will still be set. Comments? Thoughts? Drop me a line or comment below then follow me on Twitter and Facebook.